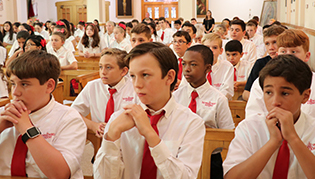 Incarnate Word Academy (IWA) of Corpus Christi is a private, Catholic college preparatory school educating all grade levels: IWA Elementary Level-Montessori (Age 3-Grade 5), IWA Elementary Level-Traditional (Age 3-Grade 5), IWA Middle Level (Grades 6-8), and IWA High School Level (Grades 9-12). Motivated by a philosophy of Catholic education and by the charism of the Sisters of the Incarnate Word and Blessed Sacrament, IWA exists to create a climate for learning with God as the highest value. We strive to integrate faith with high academic standards across our campus. Administrators, teachers, coaches, counselors, and staff members work together to form a Christian community which initiates students as growing members into the faith community. 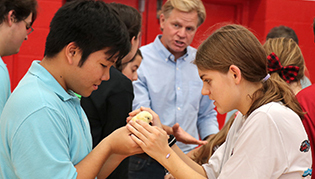 We create an atmosphere that allows students to be genuinely aware and curious, to do their personal best with every endeavor, to be humble and honest, to develop personal talents, and to think with an open mind: logically, accurately, and critically. A great education is the foundation a life is built upon. It determines how far a child will reach and how far they can go. 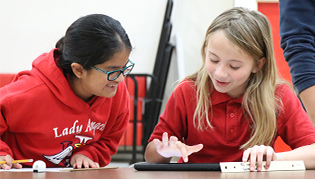 Incarnate Word Academy combines tradition, faith, and an eye to the future to provide opportunities for academic achievement, spiritual fulfillment, and personal accomplishment for each child that walks through our doors.